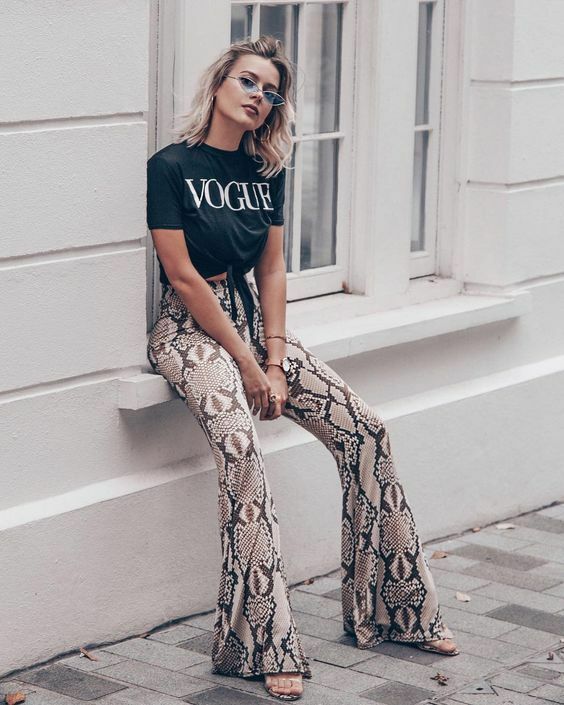 Animal prints are very much in fashion nowadays, and when you have to wear bottoms in this style then it becomes a bit difficult to make out as what to wear with it. Styling animal prints can get a little tricky as they are not so easy to match with the other things. But not now, as this article shows you to mix and match and to style them interestingly…. 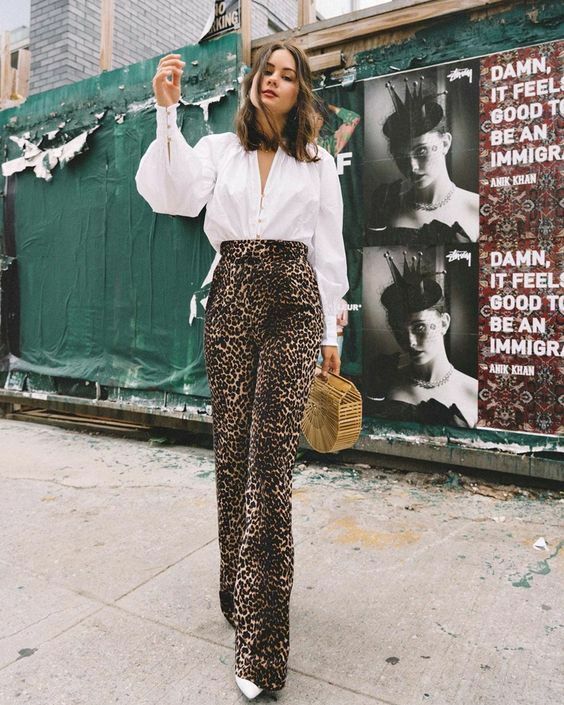 T-shirt with Side tie up detail– Wearing an animal print flare pants with a round neck T-shirt is great, but the side tie up detail on the shirt will make it look more interesting. If you don’t have one then just rip of the side seams of a white T-shirt and you can create the same effect by tying it up on the side. Black shirt– Tapered cropped pants can be worn with regular band collar shirt in a black color. leopard prints go perfectly with a black shirt and you can accessorize it further with a neck piece in antique silver. 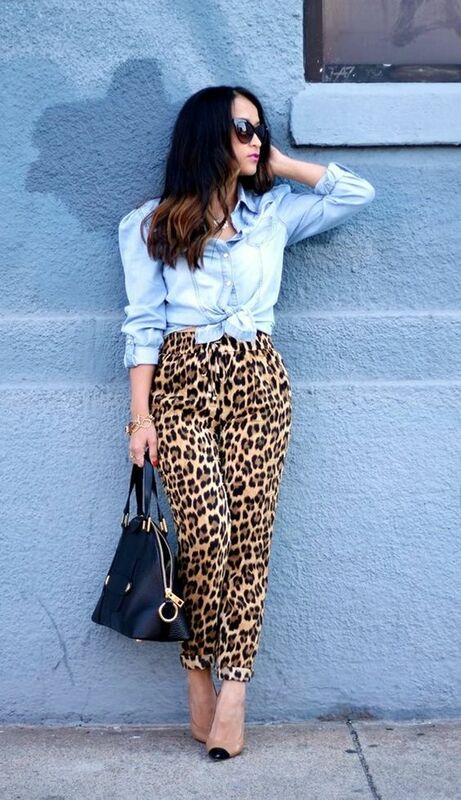 Wear cropped pants with heels. Denim shirts– Shirts made with lightweight denims look cool with the animal print. Wear them in a tucked in style, or style in a front tie up detail. 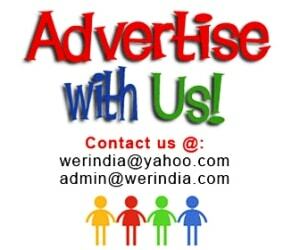 The formal look– This formal look with a twist of animal print is a great work wear. 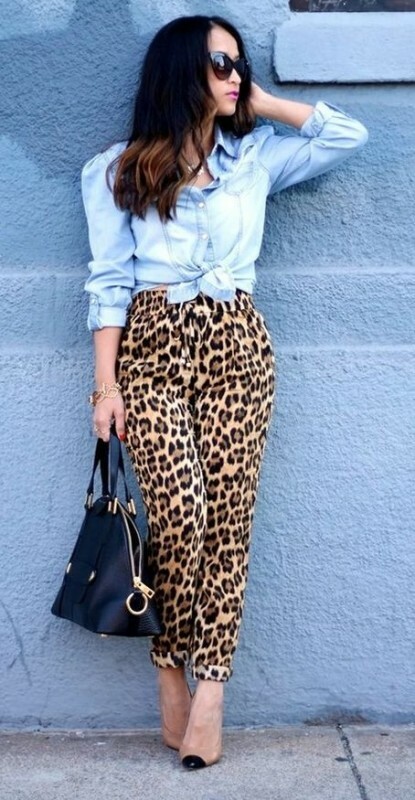 Wear your favorite animal print bell bottoms with a black top and a jacket and it will look perfect. Slogan T-shirt– T shirts or shirts with slogan’s make a good pair with these bottoms. Graphic T shirts– Wear a subtle Graphic T-shirt and a belt at the waist to complete the look. 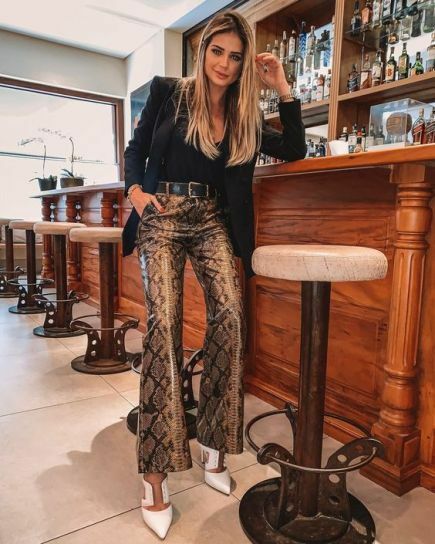 Add colors– And no dressing up in these pants does not always mean just black and white, well you can add bright colors to the look anytime.